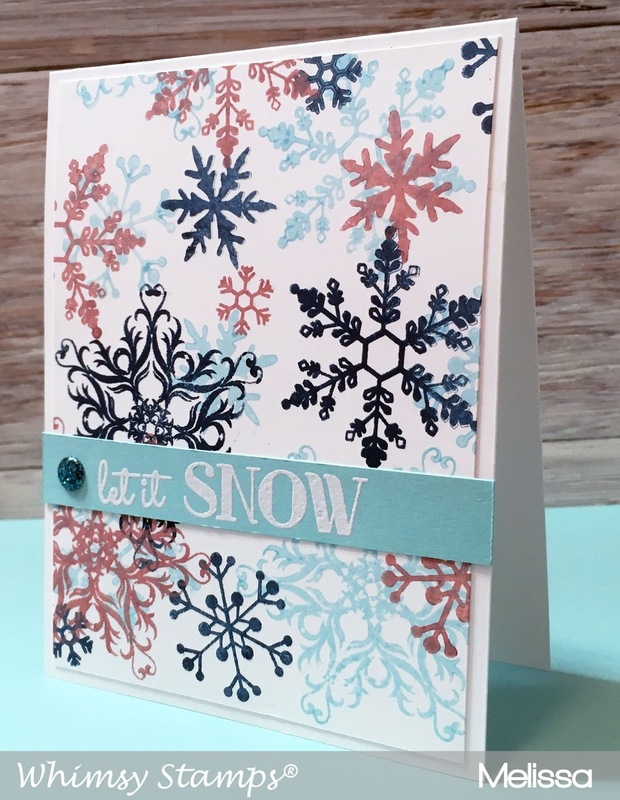 I used my VersaMagic chalk ink in various colors and simple stamped the snowflakes in random patterns. Once this dried I added a thin strip of colored card stock. On the card stock I added a sentiment from the set. I love the font! 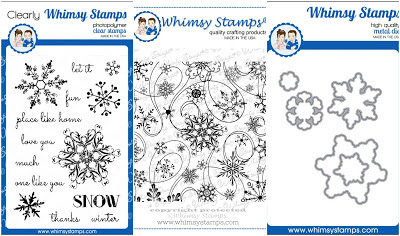 Finally, I added an adorable glittery enamel dot from Whimsy's set called Winter Wishes. 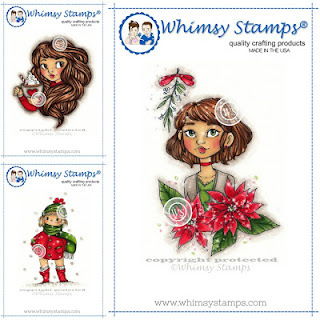 You can't tell from the image on the shop but they are so gorgeous and glittery! love the colors on these snowflakes!